Lesson 5 – Body Filler – Below are the videos included in this lesson. Click on video to watch. 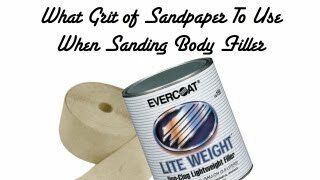 Thia Q&A video answers the question of what grit of sandpaper to use when sanding body filler and when removing paint. This is a common question I have been asked many times. Whether you\'re a \"die hard must be to the metal fanatic\" or you\'re quick to \"apply bondo over anything kind of a guy\", you may want to read this or watch the video before your next body filler job. I was taught that body filler must be applied to bare metal. 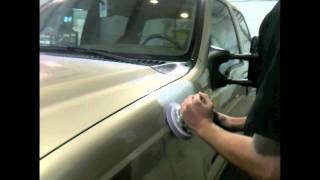 Therefore, all coatings must be ground or sanded to bare metal before applying body filler. However, I learned auto body repair during the lacquer/enamel days. Since then urethanes started being used on cars and some technicians started applying body filler over roughed up paint. However, if applied over a sanded paint surface, it must be an OEM substrate. This means a factory paint job that has never been repainted. Now we have waterborne paint to mix into the equation. The problem with this practice is the \"technician see technician do\". Someone notices that body filler is being applied over sanded paint, then they assume this is a standard practice and they start doing the same thing. Before you know it everyone is doing this the same way, but many of them do not have all of the facts. The fact the that paint surface must be an \"OEM finish\" is the missing link, which leads to filler being applied over all painted finishes. Auto body filler aka Bondo, polyester body filler, plastic filler, mud, etc. is used to fill small imperfections for auto body repair. 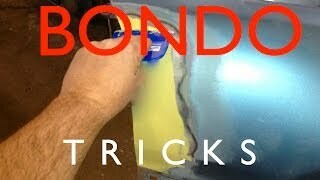 A few common problems when using #bondo is over grinding the metal on thin metals which thins and weakens the metal. Another problem is, well making a mess by getting it in cracks, gaps, holes, and places you don\'t need body filler. This takes a lot of time during the shading process to sand and clean the filler out of those areas. This video is going to address these common problems and provide you a few more tips to help you apply and block sand more efficiently and get better results. 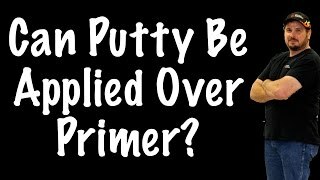 n this video I was asked if #putty can be applied on low areas after primer has already been applied. 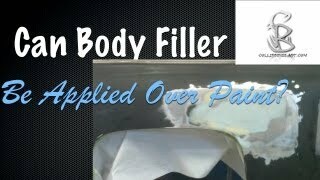 In this video I am going to demonstrate how to apply body filler and sand body filler on body lines of a car. A demonstrate a method for repairing small hail damage. This method is not a PDR method, but when you plan to paint the surface. 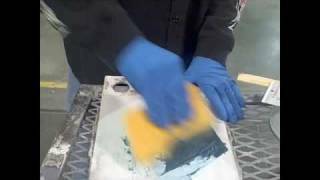 Video demonstration of how to apply Fiberglass Filler over a welded area on a car repair. Would you like to watch the other videos in each lesson? Click the lesson below to watch the videos.